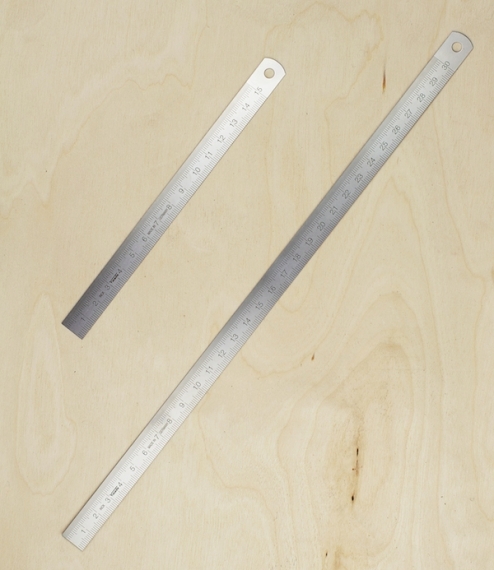 Moderately flexible rulers of 0.5mm stainless steel, either 15cm or 30cm measuring length and 13mm wide. Zeroed to one end, with a hole for hanging at the other. Made in Germany by Vogel a specialist, ISO certified manufacturer of precision measuring tools and test instruments since 1949. These are a type rule particularly favoured by carpenters and cabinet makers as the flexibility allows for accurate measurement within drawers or rebates.